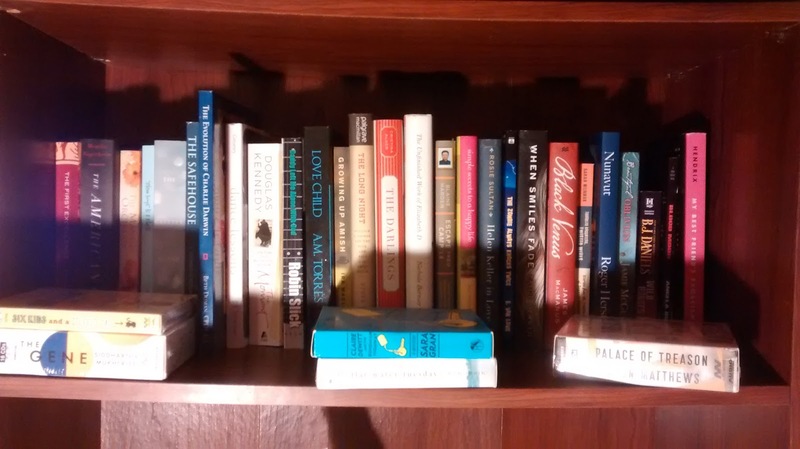 For today's A to Z Challenge post I'm taking a look at a problem that most avid readers have - how to tackle the towering and often toppling to be read (TBR) pile. When I first started blogging I was so tickled that authors and publishers wanted me to read their book that I accepted just about everything. I'm kind of a slow reader. Sometimes I only get one to two books read in a month. My lack of discernment when it came to accepting these review copies led to an overwhelming number of books on my to-read list. I still have books from that first year waiting to be read (that was 6 years ago!). For the past year and a half, I've been trying to tackle my to be read pile and get to those long waiting books. First, I added a couple of reviewers that could help with the ever present review requests in my inbox. And then I all but stopped accepting review copies myself (I still take those from authors I love or in series that I'm reading and then a few other books that sound too good to pass up). Now that my review pile isn't growing at alarming rates, I had to get organized. The print copies are easy to keep track of as I have a physical reminder that they are waiting. My ebooks were another story. They get lost in my email, never to be downloaded (I have a Nook so they aren't automatically sent to my e-reader like for Kindle). As I get older I find myself making myself more notes throughout the day. The problem was keeping up with the notes. This year I decided to start a Bullet Journal. Mine isn't all pretty like those found on Pinterest, but it is practical and most important makes me more productive as all my lists and notes are in one place. 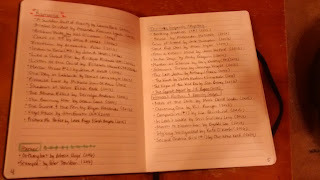 Several of the first pages is a list of all the ebooks in my TBR ebook pile. I organized them by genre so when I feel like reading fantasy or romance, I can quickly scan my options. I also listed the year it was published to encourage me to whittle down the backlog. I have a monthly page that I list bills and other monthly tasks. When I accept a book for review, I put it on there so at least by the end of the month I will make sure it has been downloaded and added to my Nook. It's been a slow progress, but so far the most successful method I have found for tackling my TBR pile. Do you have a way to keep track of what is in your TBR pile? 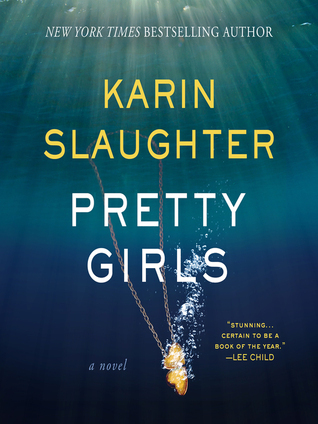 Pretty Girls by Karin Slaughter is the first book I've read by this author. I knew of her because she participated in my Big Book Giveaway last summer. So when I saw this title available at the digital library I decided it was beyond time to give her a try. I loved the book. I don't often read books set in my small college town so it was interesting, but kind of weird too, to listen to things happening in areas of town that I'm familiar with. If you are a thriller fan definitely pick up this book. About the book: More than twenty years ago, Claire and Lydia's sister Julia vanished without a trace. The two women have not spoken since, and now their lives could not be more different. Claire is the glamorous trophy wife of an Atlanta millionaire. 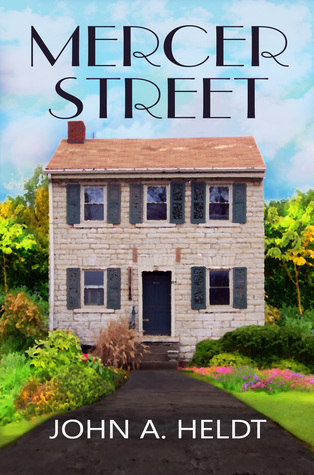 Lydia, a single mother, dates an ex-con and struggles to make ends meet. But neither has recovered from the horror and heartbreak of their shared loss - a devastating wound that's cruelly ripped open when Claire's husband is killed. The disappearance of a teenage girl and the murder of a middle-aged man, almost a quarter-century apart: what could connect them? Forming a wary truce, the surviving sisters look to the past to find the truth, unearthing the secrets that destroyed their family all those years ago ... and uncovering the possibility of redemption- and revenge- where they least expect it. 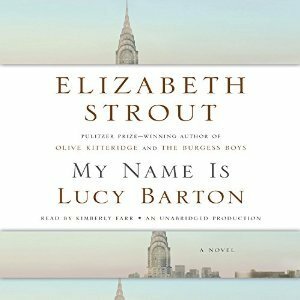 My Name is Lucy Barton by Elizabeth Strout is a complex novella. There is so much more going on below the surface of a story about a woman reflecting on life as she recovers in the hospital. Each word and phrase tells a rich story and should be examined closely to fully appreciate the author's talents. This would make a lovely summer read. About the book: Lucy Barton is recovering slowly from what should have been a simple operation. Her mother, to whom she hasn't spoken for many years, comes to see her. Gentle gossip about people from Lucy s childhood in Amgash, Illinois, seems to reconnect them, but just below the surface lie the tension and longing that have informed every aspect of Lucy s life: her escape from her troubled family, her desire to become a writer, her marriage, her love for her two daughters. Knitting this powerful narrative together is the brilliant storytelling voice of Lucy herself: keenly observant, deeply human, and truly unforgettable. 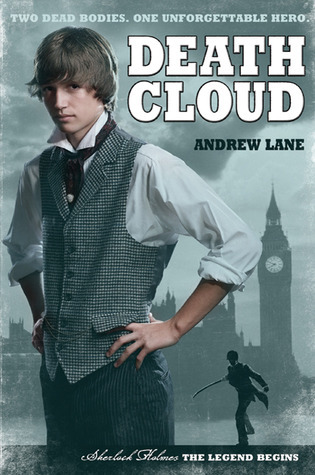 Death Cloud by Andrew Lane is a young adult adventure story featuring a young Sherlock Holmes. I'm not a huge Sherlock fan, but I enjoyed the PBS series so I thought I would give this a try. I preface my thoughts with that statement because it let me appreciate the story as an adventure novel instead of as a derivative work within the Sherlock Holmes universe. I thoroughly enjoyed the adventure and it was a fun listen. Have wondered if Sherlock's powers of deduction was an odd personality trait or a learned ability? Lane sheds light on the question with a look into the life of young Sherlock Holmes. It is the summer of 1868, and Sherlock Holmes is fourteen. On break from boarding school, he is staying with eccentric strangers—his uncle and aunt—in their vast house in Hampshire. When two local people die from symptoms that resemble the plague, Holmes begins to investigate what really killed them, helped by his new tutor, an American named Amyus Crowe. So begins Sherlock's true education in detection, as he discovers the dastardly crimes of a brilliantly sinister villain of exquisitely malign intent. 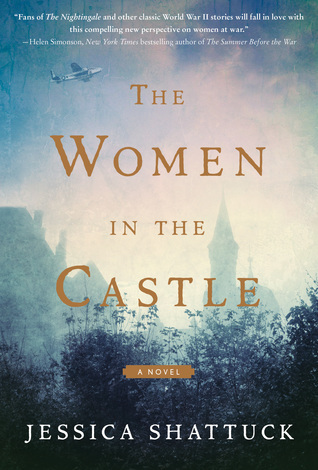 I won a copy of The Women in the Castle by Jessica Shattuck in a Goodreads giveaway. I absolutely loved it. The characters are well developed and their names are as much a part the development as are their manners and background. Marianne von Lingenfels is every bit of the strong, take charge aristocrat that her name implies. Though the story begins at a crucial moment in both Germany's history and Marianne's life, it is really about what happens after the war. It reminded me of Chris Bohjanlin's Skeletons at the Feast (the reason I started this blog in the first place). It is a must read for fans of WWII era historical fiction and well-written women's fiction. Amid the ashes of Nazi Germany’s defeat, Marianne von Lingenfels returns to the once grand castle of her husband’s ancestors, an imposing stone fortress now fallen into ruin following years of war. The widow of a resistor murdered in the failed July 20, 1944, plot to assassinate Adolf Hitler, Marianne plans to uphold the promise she made to her husband’s brave conspirators: to find and protect their wives, her fellow resistance widows. John Heldt's books are always an enjoyable read and I discovered in making my ebook review list that I have several of his books in my pile. They are sweet, simple reads about time-traveling adventures. Mercer Street would be a great addition to your beach bag this summer. The straightforward simplicity of the storytelling makes it a relaxing read. The charming characters and the intrigue of whether 3 women will screw up the timeline or just their lives as the become more and more attached to the people they meet in 1938 will immerse you in the story to point that you think you will be in 1938 when you look up from the page. Another benefit of my Bullet Journaling is that I'm able to get to books a little closer to their release dates. 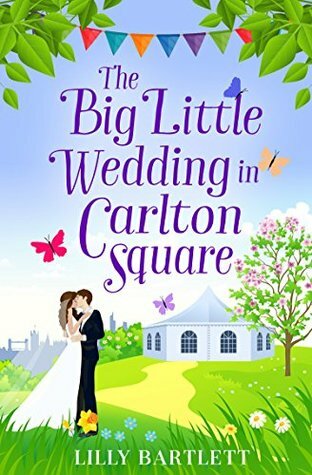 Such is the case with The Big Little Wedding in Carlton Street that the publisher sent me recently. Before this might have been lost for months in the sea of books. It is a great romantic comedy about friends, family, and community. A great reminder that it's not about what you have, but who you have in your life. How on earth can Emma put together a vintage champagne-sodden celebration - fit for Lords and Ladies - on a beer pocketbook? Not to mention the fact her cross-dressing Uncle Barbara wants to be a bridesmaid, her best friend Kelly can’t stand Daniel’s best friend Cressida, and her dad is too proud to accept any help from Daniel’s family toward the costs. There are three months to go until the big day. But will it be memorable for all the wrong reasons? 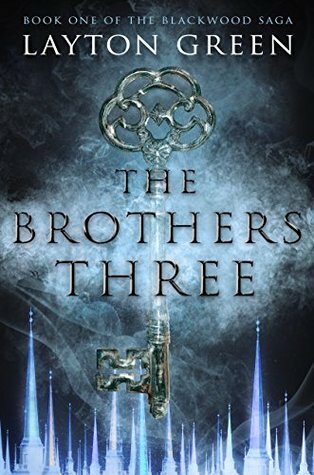 I love Layton Green's writing, so when he offered me The Brothers Three for review I accepted even though the genre isn't one I'm too keen on. I'm only a few chapters in, but I'm loving it so far. The brothers' lives are changed forever when they receive a belated inheritance from their father: a staff with a mysterious stone on top, a pair of rogue's bracers, and a sword that Will can barely lift. Searching for an explanation, it is not until a strange key whisks the brothers across time and space, into a terrifying version of New Orleans ruled by wizards, that the brothers accept the truth and undergo a perilous journey home. With the help of an alluring but deadly adventuress, they must break into the keep of a sorcerer known for his love of diabolical games, find a trio of enchanted talismans, and somehow defeat an evil wizard who can raise legions of the undead to do his bidding. I enjoy Mary Higgins Clark's mysteries and this one is really good so far. About the book: Television producer Laurie Moran is delighted when the pilot for her reality drama, Under Suspicion, is a success. Even more, the program -- a cold case series that revisits unsolved crimes by recreating them with those affected -- is off to a fantastic start when it helps solve an infamous murder in the very first episode. With the help of lawyer and Under Suspicion host Alex Buckley, Laurie knows the case will attract great ratings, especially when the former suspects include Hollywood’s elite and tech billionaires. The suspense and drama are perfect for the silver screen -- but is Cinderella’s murderer ready for a close-up? The Twelve Lives of Samuel Hawley by Hannah Tinti is another book I won in a Goodreads giveaway. After years spent living on the run, Samuel Hawley moves with his teenage daughter, Loo, to Olympus, Massachusetts. There, in his late wife's hometown, Hawley finds work as a fisherman, while Loo struggles to fit in at school and grows curious about her mother's mysterious death. Haunting them both are twelve scars Hawley carries on his body, from twelve bullets in his criminal past; a past that eventually spills over into his daughter's present, until together they must face a reckoning yet to come. This father-daughter epic weaves back and forth through time and across America, from Alaska to the Adirondacks. Yes, I know all about towering TBR piles! I have put a notice on my contact page to say I'm not taking anything except from my regular publishers until I have tackled it. I STILL get requests. "I hoped you might make an exception..."
I didn't want to stop taking requests which is why I added additional reviewers. Lots of interesting books here. I loved Strout's Amy and Isobel, but her other stuff didn't resonate quite as much. But she's an incredible writer. I go through phases where I'll try lesser known authors and bloggers' books and then I'll feel the need to indulge in a Stephen King book I've already read 10 times. Not a lot of discipline here and I've got a long list of books that deserve reviews. This was my first book by Strout and I could tell she is an incredible writer. I usually re-read at least one favorite every summer. Last year I re-read Harry Potter and the year before that was The Gateway Chronicles by KB Hoyle. I've read Deborah Harkness's All Souls Trilogy a bunch a times. I liked Death Cloud. The sequel is fun but a little hokier. I gave up on accepting review copies in 2015 and that gave me way more control over what I read and when I read it. It was a busy week of reading, Girl Scouts, the Mandarin Showcase, and boxing up books. Come see what I'm reading. I sometimes think Sherlock in general is a bit hokey, but I'm willing to try another young Holmes novel. I won a copy of Women in the Castle and am looking forward to reading it. You had a suggestion about putting your books in order by genre. I have all of my Kindle books by date that I received them -- but it's a really good idea to organize them by genre. Think I'll give it a try. Thanks. I have created spreadsheets to keep up with my TBR, books on my review list etc. That really works for me but sometimes it seems like I am spending more time organizing my TBR lists than I am reading. My Nook just has them in alphabetical order but I did add shleves for read and unread. I tried a spreadsheet but it was too much work. I use Goodreads to keep up with what I've read and reviewed. I kind of forgot about Mary Higgins Clark for awhile, but I recently reread one of her earlier books that I loved. I may have to check that one out, or see what she's done lately. I'm also intrigued by the YA Sherlock Holmes book. I'm not a huge Sherlock fan either, but I do love a good mystery or thriller. I haven't read Mary Higgins Clark since I read her story about a girl living alone being raped. I read it shortly after I moved into my house alone. The Cinderella Murder looks really good. It's been awhile since I read Mary Higgins Clark. No matter what I do, I can't seem to ever keep up with my TBR. It turned out to be a really good story. I'm going to look for others in the series. I absolutely loved Pretty Girls! And I haven't read a MHC book in years. Are her books still as good as they were in the past. She used to be one of my must read authors so I don't know why I stopped reading here. Have a great week and enjoy your reads! Pretty Girls was really good. 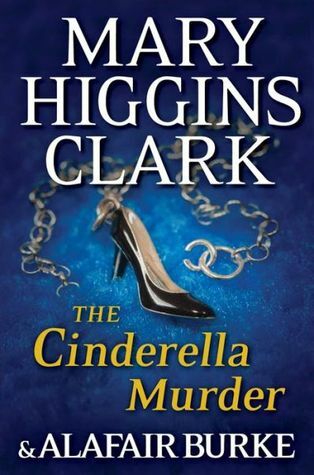 I loved The Cinderella Murder, but it has been a while for me too since I've read any MHC. I think I'm afraid I'll run out of reading material so I have to continually add more books to the pile. 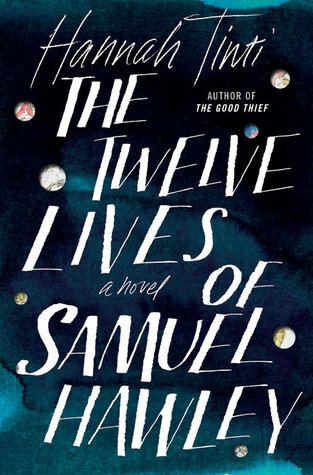 I loved The Twelve Lives of Samuel Hawley, but I also read a couple reviews that weren't as crazy about it. Nice job tackling that TBR pile. Mine just keeps growing! I've just started it, but I'm enjoying so far. I have a Nook, too. As for my TBR pile... Some just never get read. Of course, I'm not reviewing, so it's not that big a deal. It's good to have choices when I want something to read. I have another pile of books that are ones that I chose for myself. I read them when I need a break from reviewing. Way back in 2011, my TBR pile was taller than me. I’ve gotten a little more rational about things since then, but I still have a few unread books from 2015 sitting around. I think my TBR pile will be a lifelong struggle. So many books, so little time. I would like to get to the point that I have only books accepted for review during the current year in my pile. But I will always have a pile of books. At first I tried to be all creative and cutesy with my journal, but found it took too much time and well I'm not very good at it. But as for being practical and productive I'm rocking that with the Bullet Journal. After a couple years where I went from reading a book a week to a book every six months thanks to building a house and work going crazy, my TBR piles were overwhelming. I decided to decorate with them. I now have artful stacks of books siting all around so if I'm ever at a point where I have time to read, there's an assortment of options in reach. I have books in almost every room of my house. That way when I feel like reading I don't have to go very far to get a book. I track my reading on Goodreads, but I like the sound of your system too. Whatever works is the way to go! I also review books and have cut way, way back on what I accept. The old adage is true: so many books, too little time! I use Goodreads for keeping track what I've read and reviewed, but I wasn't doing so good with using it to keep up with what books I have to read. 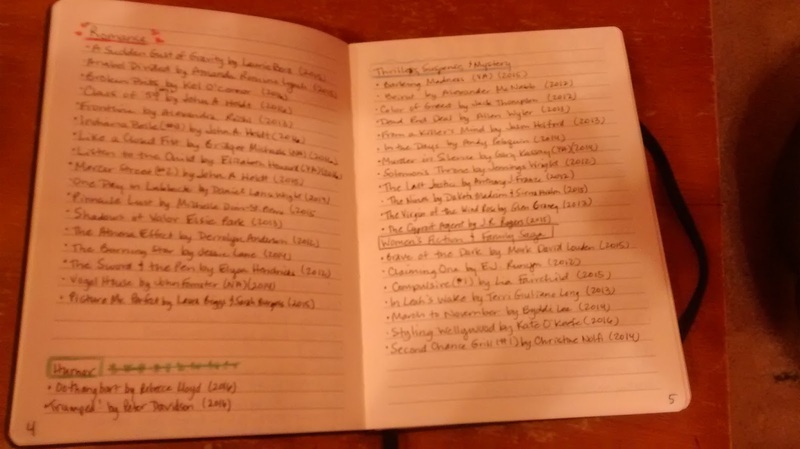 I love my bullet journal - but while I do keep track of the books I read each month, did not occur to me add a collection page for my TBR piles. GREAT idea! It has really helped from having ebooks get lost in my email since I often check my email on my phone or work computer and can't download right then. I just picked up Women in the Castle at Target. I'm glad to hear you enjoyed it.